Risk modeling based on underlying holdings using Mark-to-Future (MtF) technology. API to include 3rd-party valuation models. 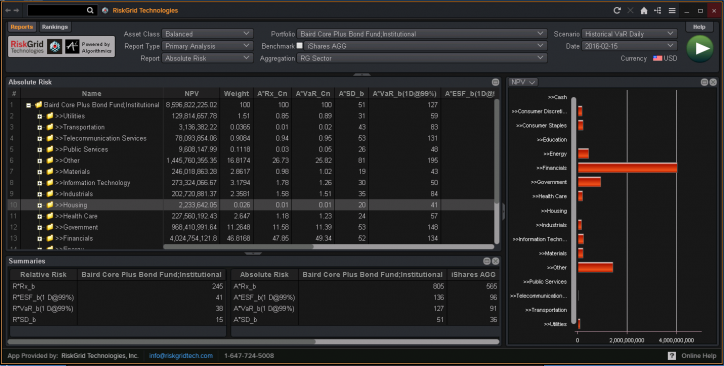 Supports wide range of risk analytics including VaR, CVaR, Stress Testing, Relative Risk, Marginal Risk, Counter-party credit exposures. Supports aggregation at multiple levels and classification attributes including sectors, security type, maturity buckets, asset classes and user-defined hierarchies. 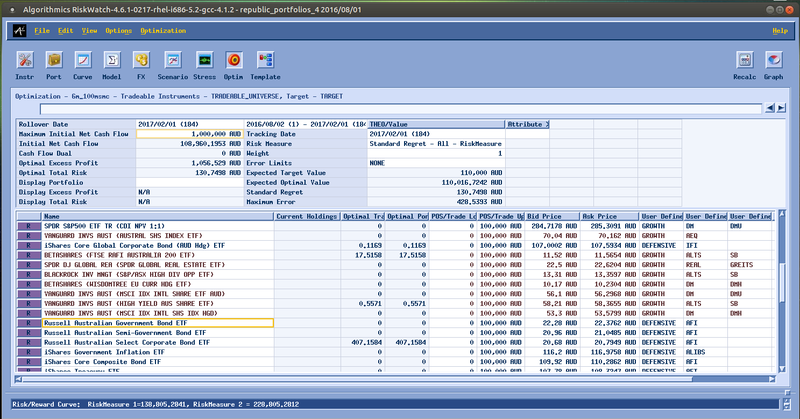 Supports cashflow analysis and balance sheet ALM modeling including Earnings-at-Risk. Advanced Scenario generation including historical and multi-step Monte Carlo methods. Dynamic trade strategies which incorporate scenario based reinvestment rules. Supports What-If and Limits Monitoring. 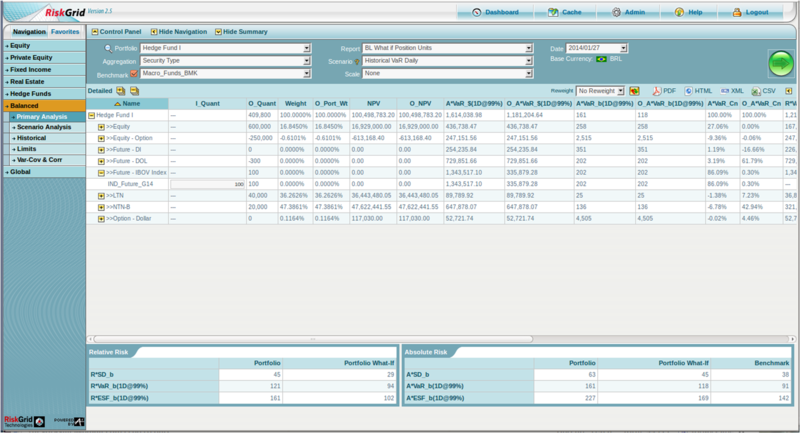 Pre-loaded scenario data for VaR and Stress Test analysis. commodity curves, FX Forward Curves, equity and macro indices, credit spreads, and inflation curves. 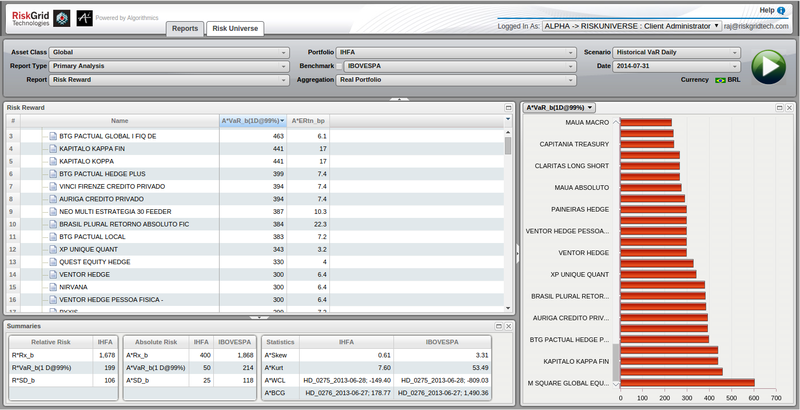 CSV and XML data mapping tools and user-friendly export interface to create custom reports. VBA Scripting of workflow, reporting and end-to-end batch jobs. 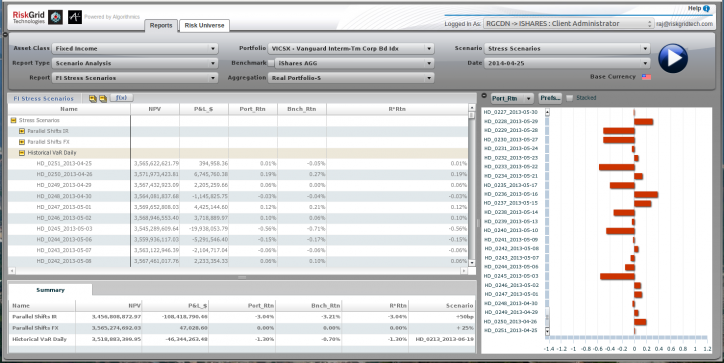 Reference data loaders with leading sources including Thomson Reuters and ICE Data Services. Advance Scenario-based Optimization for goal-based and liability-based asset management.